Varmint Express® Ammo delivers industry-leading accuracy and deadly performance that has "mist"-ified varmints for years. 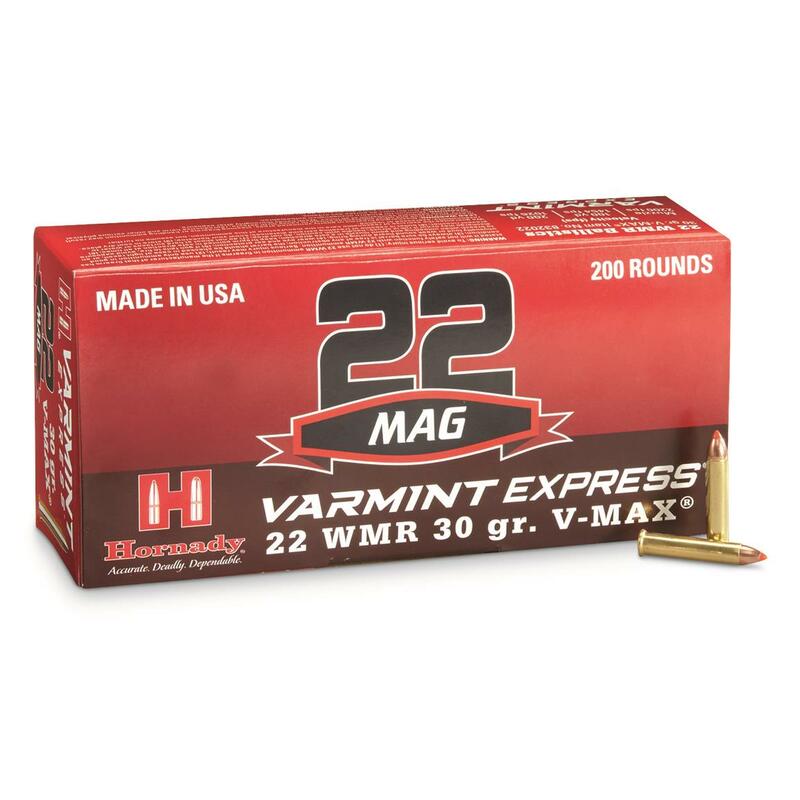 Loaded with the venerable V-MAX®, Hornady® Rimfire Ammunition is an excellent choice for plinking or varmit hunting. 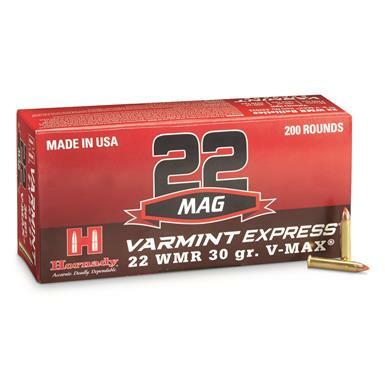 Hornady Varmint Express, .22 Magnum, V-MAX, 30 Grain, 200 Rounds is rated 5.0 out of 5 by 1. Rated 5 out of 5 by MrAutochamber from Works very well in my PMR 30 I know Kel Tec recommends 40 grn bullets but this ammo has been the most reliable out of my PMR 30. It also seems to stack the best in the magazine which probably leads to reliable feeding.